PSA: This works perfectly with Fallout 3 as the texture and meshes names are the same and they stay on the same folder location on the BSAs. 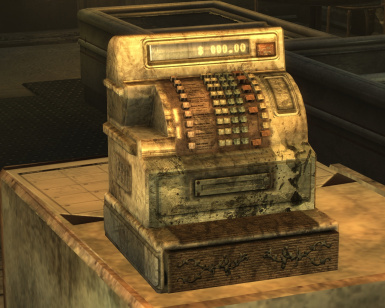 This works in Fallout 3 as well! Awesome! Thank You! ~Endorsed. I went to your fallout3nexus profile and d/l'd the tweaked meshes you made as well. You should combine them into a single tweaked meshes file. 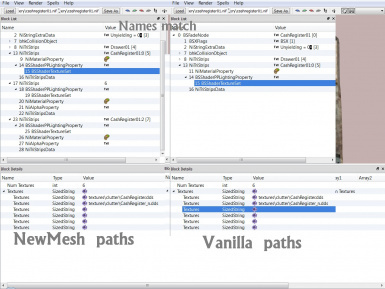 texture Paths taken from vanilla file so should work. The 01 was the type in read-me and description only all files paths and folder paths correct. Again has to be stated Make sure you are using Archive invalidation of some sort. The textures have vanilla names and the engine dont like it when you dont change your texture names for your new file. 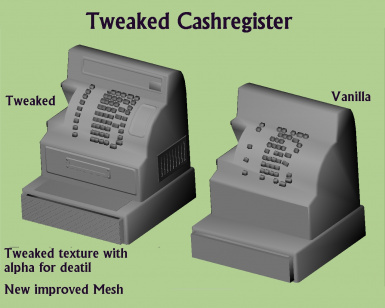 you could try renaming the texturesclutterCashRegister.dds to texturesclutterCashRegister01.dds in the texture folder and renaming it in nifskope,(Both instances). If this works archive Invalidation most likely the problem. are you sure the pathways are correct and the cashregister.dds is spelled exactly correct? You are using the vanilla textures. You should use the one in the mod and use the file path. as in creat the folders clutter and paste the dds files inside it. is the file I used to get it to work for me originally when textures gave me trouble. there are other ones as well. 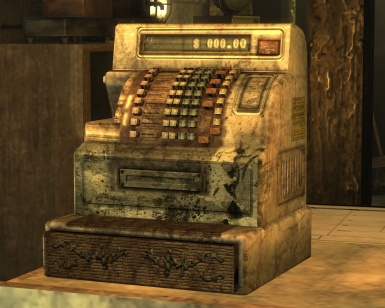 The problem basically is the cashregister is using a new texture that has the original vanilla name, but the computer is ignoutring the new file in favor of the original texture. Using the AI fixs this.